Autumn is the season for change, rest and recovery. Autumn is the time that routine makes its way back into people’s lives. The summer months are over and often we will take the opportunity to make a change – in both ourselves, and our wardrobe! While the cooler, darker days can welcome hot chocolate, blankets and cosy nights in, they can also bring illness, stress and lack of concentration to many. 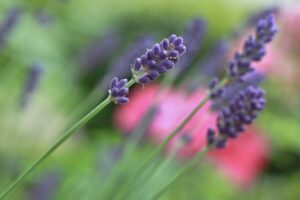 Aromatherapy has many uses and takes many forms. 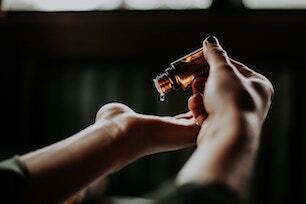 During the seasonal change, introducing aromatherapy into your home and lifestyle is thought to enhance well-being and help reduce symptoms of stress. It is said to help promote feelings of calm, increase motivation and help treat skin conditions such as psoriasis and eczema. Peppermint, eucalyptus, scotch pine and Siberian fir are all essential oils used to help relieve symptoms of cold and flu. Rosemary, scotch pine, pinon pine and cypress are believed to help ease nasal congestion and inflammation of the sinuses. Manuka, cinnamon, clove and lemon are well-known antioxidants. Geranium, German chamomile, patchouli, rose and sandalwood are thought to treat dry skin and psoriasis, while rosehip and tamanu are believed to treat eczema. Basil, black pepper, peppermint and rosemary are commonly used to improve focus and concentration. Diffusers help to spread a scent throughout the room. Depending on the essential oils used in the diffuser, they can help to treat sinus congestion, boost the immune system and improve mood. These can offer a portable, personal treatment to each person. You can fill it with your chosen blend of essential oils to clear sinuses, improve focus and motivation or increase a sense of grounding. Lotions, creams and butters are commonly used to treat skin conditions that occur in the autumn/winter months. Oils and butters are rich in fatty acids, therefore are commonly used to moisturise the skin. Why not pamper yourself? Bath oils are a great mood booster and adding a teaspoon of essential oils into the water can also soothe the skin. Dilute the oils before adding them into your bath water, as warm water can often increase the potential for irritation. You can do this by mixing the oil with a little vegetable oil. 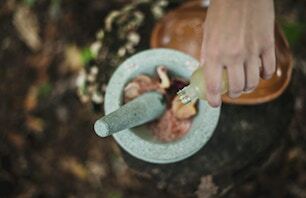 The best way to benefit from the healing properties of aromatherapy is through a professional aromatherapist. To find out more, visit our fact-sheet. View and comment the original Star Chaser and Healing Arts article.